How’s Your Competitive Recycling Spirit? Keep America Beautiful offers a Recycle Bowl Competition with a flexible format. Schools can compete against other schools in the same state or against schools across all 50 states. Between October 19 and November 15, schools collect and record acceptable recyclable materials. Keep America Beautiful will award prizes to the school with the highest recycling amount by weight and the school with the most improvement from the previous year. 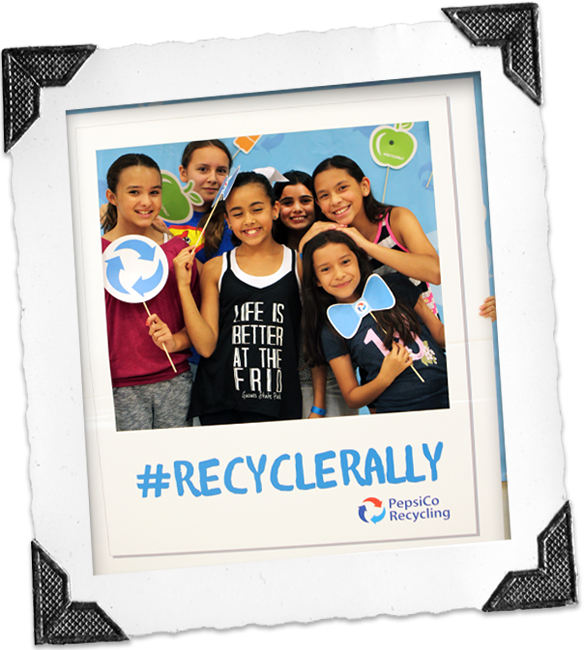 PepsiCo’s Recycle Rally helps schools with incentives and tools to increase recycling. The program uses an online leaderboard and progress tracking tool to allow a network of schools to compete with each other and share helpful resources. Schools can earn rewards and prizes and gain access to educational tools by logging how much they’ve recycled. The program is one way PepsiCo is working to increase the U.S. beverage container recycling rate to 50 percent by 2018. Project Green Challenge is a month-long program in October to engage high school and college students in environmentally themed challenges. Throughout October, daily challenges will be delivered to participants by email. Challenge participants will earn prizes based on what they post to the Project Green Challenge website and social media. A number of finalists are flown to an eco-summit in San Francisco where they will share their experiences and learn from peers. The Jamba Juice “It’s All About the Fruits and Veggies” garden grant program will offer 30 awards to school and youth garden programs. Recipients will receive gardening equipment, curricula, soil amendments, and seeds and plants to create an engaging gardening program. Selections will be made based on the applicant’s plans to promote nutrition education and incorporate activities relating to fruits and vegetables into curricula. September 15, 2015 in Other.